7th BEST EXISTING COPY!!! Trails only 2 in 9.2 and 4 in 9.0. Incredibly flat, fresh, glossy, structurally sound and it has off-white pages. Just take a look at this blazer. The cover is white, it's very well centered (we're kidding as it's PERFECT), the corners are ridiculously sharp and the spine is unreal. One of the harder Bats to find in high grade with still only 2 others in 8.5. Bill Finger story, Sheldom Moldoff and Charles Paris art. 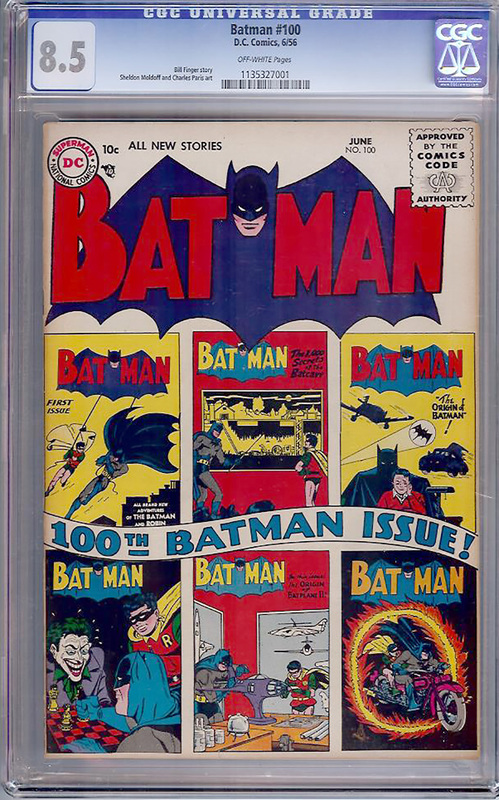 A truly rare and scarce (particularly in high grade) comic book. ENJOY!! !